Flower Crowns are right on trend turning your hens into a crew of flower goddesses crowned with beautiful seasonal flowers and foliage. Make your very own beautiful Flower Crown perfect for a hen party, why not even match the theme of the wedding. Dive in to the bounty of beautiful fresh flowers on offer and create the shape of your crown. No floral experience? 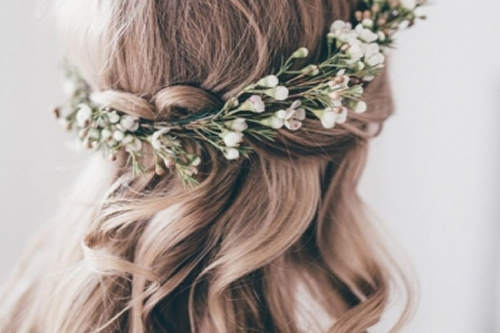 No worries, with assistance from the North wests top flower experts and providers you will be shown step by step how to create your stunning flower crown which you take with you and wear for the rest of the day. It’s like a fresh bunch of flowers you don’t have to carry. The possibilities are endless!